Gary Alan Mitchell, 65, longtime resident of Tulsa, OK, passed away on 26 May 2017. Gary was born in Oklahoma City on May 19, 1952, the only son and middle child of Leon Gabriel Mitchell (b. Schwarzbaum), and Gussie Lea Mitchell, nee Stieler. Gary graduated from Northwest Classen High School in Oklahoma City, after which he pursued a BS in Psychology from OSU in Stillwater, followed by a Master of Social Work degree from OU in Norman. He was fortunate to be one of the few chosen to do a Post-Master’s Fellowship in Clinical Social Work at the Menninger Foundation in Topeka. Gary followed his work at Menninger’s with two years at Duke University Medical Center in Durham, NC, serving as an Associate Professor in the Department of Psychiatry and Family Studies. Following his experience at Duke, Gary spent eight years as a Clinical Social Worker in Dallas at Timberlawn Psychiatric Hospital, where he had the opportunity to visit Kenya with 33 American social workers through an educational medical program. He also worked with Dr. Harold Cronson on a long-term study of the therapeutic issues unique to celebrities; the study was written about in the September 23, 1985 issue of The New York Times. Gary was recruited by a fellow Timberlawn social worker, Jackie Kleumper, to join the team at the new Laureate Psychiatric Clinic and Hospital in Tulsa in 1989. While there, he was instrumental in program development and served as Executive Director of Adult Outpatient Services. Gary, having always wanted to be his own boss, went into private practice in Tulsa in 1992, and continued until stricken by illness in 2016. Gary was passionate about his work and helping others and often continued to ‘check-in” on his clients long after therapy had ended. 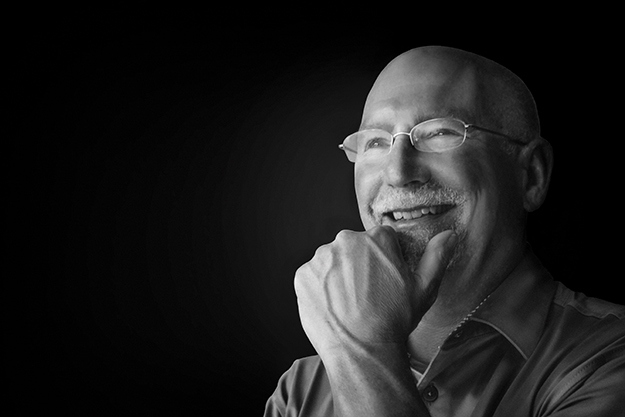 Gary was a skilled, gentle, and caring therapist, who his colleagues describe as exceptional. He was selected as one of the top three therapists in Tulsa by Oklahoma Magazine in 2012. An avid golfer, he was a member of Forest Ridge Golf Club, where he spent much of his time. He had made two holes in one during his golfing years, one at Forest Ridge at hole 15, another at Cherokee Hills at hole number 4. A Democrat, Gary loved to argue with those on the other side of the political fence. Despite his illness, he followed the 2016 election and the events following Trump’s inauguration, tuning in to CNN every day. Gary always loved to push people’s buttons and found it amusing if they got angry. He would annoy his siblings as a child and get a big grin on his face when they got mad. He carried this little quirk with him into adulthood, where he continued to get a kick out of teasing both family and friends. Modest about his own accomplishments, Gary often looked to others for advice. Many of his friends did not even know Gary served as the model for the “The Healing Hands,” the thirty-ton bronze sculpture that now sits at Oral Roberts University. The sculptor, Leonard McMurry, was a family friend and chose Gary’s hands because he felt they conveyed the strength he was looking for, with their musculature, veining and long fingers. Gary was preceded in death by his parents, Leon and Gussie, and his beloved cat, Shamu. He is survived by two sisters, Carolyn Lea, and Linda F. Mitchell of Oklahoma City. He is also survived by his nephew, Phineas E. Lea, his wife Kristine, and their children, Ava and Rutger of Crystal Lake, IL. Gary was fortunate to have several long-lasting friendships in his life, including fellow social workers, Jacqueline Kleumper, Diane Dowling, Lela French, and Georgia Wycoff, Karen Langdon, an attorney friend, golf buddy and neighbor, James Coffey, friends James O’Neal, Maura Browne, and many others from both his professional and golf circles, many of whom made frequent visits during his stay at Aberdeen Heights and gave help to the family. Both his close friend, George “Bud” Weeks of Kansas, whom he met during graduate school, and friends Tom and Katie Wylie visited Gary during his eight months in Oregon undergoing treatment and living with family. Friends Tom and Mary Beadles have known Gary since high school and remained close throughout the years with Gary becoming like a part of their family. The family would like to thank the Aberdeen Heights Senior Living Community for going above and beyond what would be expected of an assisted living facility. Their Director, Anita Beatt, their front desk staff and nursing staff were professional and caring, treating Gary with respect and working with Season’s Hospice, attending to all of his end of life needs. A Celebration of Life will be held at Forest Ridge Golf Club on Friday, June 16, from 5-7 p.m. Friends are invited to share memories, and gather in remembering Gary’s life with family. Forest Ridge is located at 7501 E. Kenosha St. in Broken Arrow, OK. In lieu of flowers, donations may be made to Street Cats of Tulsa, John 3:16’s Mission, or the Democratic Party. I know you and Jim Sulliivan are playing golf with the angels. My whole family will miss you, dear friend. As I write this I still can’t believe you are gone? My heart breaks knowing I’ll never get to talk to you again. That being said…..I want to say how extremely grateful I am for having the opportunity to be a part of your life. You started out as my therapist but more importantly you ended up my friend. During our sessions it was apparent that we shared a love for the greatest game in the world….golf! We played many rounds together and spent countless hours talking about absolutely nothing, those are the days I’m going to miss. You were a wonderful mentor and an even better friend! I will truly miss you my friend…. Gary and I attended grad school together, we both started our careers working for Oklahoma State Dept of Mental Health. I remember his energy, willingness to know more and a desire to learn more about his chosen profession. And that he did! His kindness, sense of humor and presence in life is missed. I always found Gary to be kind, caring and compassionate…both as a therapist and a friend. I’ll certainly miss our memorable conversations. One in a million. You will be greatly missed. My condolences to Gary’s family. I will miss him and his friendship over the years. I came to know Gary through golf basically but it became a lasting friendship that included phone calls and visits just to chat and give or get advice from one another I had the pleasure of traveling with Gary on golf/friendship outings to Phoenix ( I think 5 times ) , Branson ( at least 3 times ), Albuquerque, San Antonio, Hot Springs Village ( a couple times ) and other places that escape my mind at the moment. The times spent before, during and after the rounds at breakfast and dinner just chatting about life and laughing at the silly things in life are the times I will cherish the most. Godspeed Gary. I will miss you my friend. Gary: I’m sorry I didn’t get to see you before you left us, but am sure you are golfing with the gods now and telling them all “great shot” every time, no matter how bad it really was. You are missed. Your caring, intelligent energy will be greatly missed. But, I know you are in a beautiful new spiritual realm & will be with us always. I made your acquaintance 18 months ago but consider myself very fortunate to call you friend. I will remember, but miss the dinners at my home with you and other friends. You always showed up with a bottle of wine and an offer to provide something from your smoker. My time knowing you was far too short but memorable. Rest in Peace dear friend. You made a difference in so many lives. You were a kind and gentle soul. A friend to many. Thank you for sharing your life with others. It was an honor knowing you. You will be missed. I am so sorry for your loss. In addition to being in Gary’s class, I worked with him many, many years ago at Northwest Laboratory, I think–It could have been at Medical Arts Lab. He was a funny guy. I was amazed to hear about the Healing Hands statue, as I have another old friend who claims he was the model. May you be blessed with your memories. It was with a smile that I thought of Gary again. My mother was a client of Gary’s so it was through her I met him. He and I had the same sense of humor about things. Though mine I think was a little darker. Never tested that theory though. But anyway him being a Democrat and my mother and I are republicans, I would get a kick watching those two go at it. He would try that with me but he found I don’t park my billy there. So he could never get my goat with politic’s. I will miss his sense of humor.